Disheartened to see the amount of hair loosing every day? You aren’t alone. In United States, almost 35 million men and 21 million females are experiencing severe hair loss. Hair loss can be caused by many factors that include lifestyle changes, improper hair care, junk food, pollution, scalp infections, dry hair and many others. Most of the commercial hair care products that often promise to solve all the hair problems but in most of the cases, they don’t live up to the claim. And chemicals effect on the scalp is quite debatable…. If you are looking out for a reliable solution then it has to be “Onion”. Wondering how a simple ingredient like onion would be helpful for treating hair loss problem? 1 What Makes Onion Effective in Treating Hair Loss? 2 How to Use Onion for Treating Hair Loss? 3 How to Use Onion Oil for Hair Loss? What Makes Onion Effective in Treating Hair Loss? Onions contain two main ingredients – (Sulphur, Quercetin) which improve the strength of hair and boost hair growth. How to Use Onion for Treating Hair Loss? Onion and its juice can be used in different ways for treating hair loss. For your convenience, we have mentioned different onion therapies or treatments below. You choose any one among them and try it regularly to combat the hair loss problem. Caution: If you are trying onion juice application for the first time then we recommend doing a patch test before starting regular treatments. Because, it helps to identify whether you are allergic to the onion or not. Avoid onion treatments for hair loss, if you have cuts, open sores, broken skin or bruises on the scalp. Massaging the scalp with fresh onion juice is effective enough to prevent hair loss and promote hair regrowth. 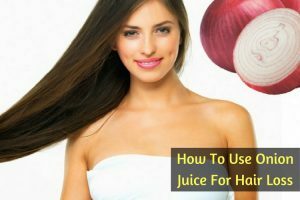 Below process explains in details regarding “how to make onion juice for hair loss”. Peel a medium-sized onion and chop it into slices. Put the onion slices in a blender and blend to make a smooth puree. Take the onion puree in a cheese cloth and squeeze out the onion juice. Massage the onion juice into your scalp, concentrating more on bald patches. Leave it on for 15 to 20 minutes and then wash off with water and a mild shampoo. Repeat this remedy 3 to 4 times every week. Note: Alternatively, you can directly apply onion paste on the scalp and leave it on for 15 – 20 minutes. Wash off the application using mild shampoo. If you don’t have time for hair packs or treatments, then you can try this after wash solution regularly to avail the benefits of onion juice. Add 1 tablespoon of freshly extracted onion juice into 1 liter of warm water. After shampooing your hair and rising it off, finally rinse again with the onion juice – water solution once. Caution: Onion juice leave a faint smell in the hair until the next hair rinse. Lemon juice also boosts circulation to the scalp and removes dirt, dandruff and product deposits from the scalp. The below is effective for treating male hair loss. Cut a lemon into two halves and squeeze out its juice. Add a tablespoon of fresh onion juice to it and mix it with a spoon. Soak a cotton ball into this mixture and apply it all over your scalp, especially on the areas where the hair has thinned. Reapply this remedy 2 to 3 times every week. Note – Always use freshly squeezed lemon juice for the remedy because vitamin C levels in lemon juice reduces with time. Take 1/4th cup of onion juice and add a tablespoon of honey to it. Mix it thoroughly with a spoon. Apply this mixture all over your scalp, especially on the bald patches. Wait for 30 minutes and then wash your scalp with water and a mild shampoo. Repeat this process 3 to 4 times every week. The heating properties of garlic stimulate blood circulation to the scalp and prevent hair loss. Garlic also removes toxins and harmful product deposits from the roots and prevents hair thinning. This combination is effective for female hair loss. As per a study published in Indian Journal of Dermatology, it is concluded that application of garlic lead to hair growth on the bald patches. (9) Selenium, sulfur, vitamins and minerals present in garlic naturally condition the hair, fortify the hair shaft structure, and replenish lost hair. Take 5 to 8 garlic cloves and crush them to form a paste. Add the garlic paste to 2 tablespoons of onion juice and mix with a spoon. Soak a cotton ball in this mixture and rub it all over your scalp, especially on the bald patches. Wait for 30 minutes and then wash off with water and a mild shampoo. Olive oil penetrates into the scalp readily and moisturizes the hair strands that prevent breakage. It also fights off dandruff which is one of the main causes of hair loss. This combination is effective for treating mild to medium alopecia. A recent study conducted by Tong, Kim and Park conclude that olive oil contains a component called oleuropein increases proliferation of cells during hair follicle formation. (10) This helps to increase the hair growth and prevent hair loss. Take 2 tablespoons of fresh onion juice in a bowl. Massage this mixture into your scalp and leave it on for 2 hours. Rinse with water followed by a mild shampoo. Follow the process 2 to 3 times a week. Magnesium present in coconut milk helps the hair follicles to strengthen the hair strands and prevent breakage. Healthy fats present in coconut milk moisturize the hair while its antiviral, antifungal and antibacterial properties prevent hair loss caused by scalp infections. A study published in 2012, coconut oil was measured to observe its benefits on hair and it has promising results in deep penetration into hair shaft. (11) This helps to prevent damage, strengthen, nourish and moisturize the hair. Take 1/2 cup of coconut milk and add 2 tablespoons of fresh onion juice to it. Wear a shower cap and leave it on for an hour. Wash off with lukewarm water and a mild shampoo. Follow this method 3 to 4 times a week. Nutrients such as vitamin B6, beta-carotene and proteins present in curry leaves strengthen the hair shafts and stop hair thinning. It also boosts the restoration process of the scalp and helps to open up the clogged hair follicles and promote hair regrowth. This process works effectively in both male and female pattern hair loss. Have a look at the preparation. Take a handful of fresh curry leaves and blend them to make a paste. Add 2 tablespoons of fresh onion juice to it and mix it with a spoon. Apply this paste all over your scalp and wear a shower cap. Leave it on for an hour and then wash off with water and a mild shampoo. Sweet almond oil is loaded with nutrients such as vitamin E, magnesium, potassium and calcium, all of which are essential for nourishing the hair follicles and strengthening the hair. Almond oil also moisturizes the scalp and fights off dandruff, which is one of the main causes of hair loss. Take 2 tablespoons of onion juice in a bowl. Add a tablespoon of sweet almond oil to it and mix it with a spoon. Soak a cotton ball into this mixture and apply it all over the scalp. Note: Instead of almond oil you can either use coconut oil or vitamin E oil. Anti-bacterial and anti-fungal properties of castor oil prevent hair loss caused by scalp infections, dandruff and folliculitus. (13) This process is effective for genetic or hereditary hair loss. Add a tablespoon of castor oil to it and mix with a spoon. Apply this mixture evenly all over your scalp and leave it on for an hour. Follow this remedy twice every week. Note – Castor oil is highly viscous so you might have to shampoo your scalp several times to wash it off completely. The anti-fungal properties of yogurt fight off fungal scalp infections that cause hair loss. Yogurt contains vitamin B5 which strengthens the hair follicles and prevents hair loss. Take 2 tablespoons of plain yogurt in a bowl and whisk it with a fork. Apply this mixture generously all over the scalp and put on a shower cap. Leave it on for an hour and then wash off with lukewarm water and a mild shampoo. Repeat this remedy 3 to 4 times a week. Peel the skin of 1 onion and 2 inches ginger. Wash them properly and blend them to make a paste. Add a tablespoon of coconut oil into the blended mixture and stir well. Apply the mixture on the scalp and leave it on for 20 – 30 minutes. Rinse off the application using a mild shampoo. If you are very busy person then this is one of the simplest ways to avail the benefits of onion. Add a teaspoon of onion juice into the shampoo required for a hair wash. Using this mixture massage the hair and scalp thoroughly. Leave it on for 2 minutes and rinse off with cold water. Repeat the process whenever you shampoo your hair. Note: Alternatively, you can purchase a shampoo that contains onion extracts. How to Use Onion Oil for Hair Loss? Add 3 drops of onion oil into 1/4 cup of carrier oil (castor oil, coconut oil or olive oil). Leave it on for 20 minutes and rinse your hair with shampoo. If you are bothered by the strong and pungent smell of onion juice then you can add a few drops of essential oils such as lavender oil, peppermint oil or rosemary oil to it. Other than topical application, you can also add onions to your daily diet – in salads, curries and gravies. It is best to rinse the hair with cold water after applying these packs. Cold water helps to seal the cuticles of the hair strands. Some people might be allergic to onions and topical application of onion juice can cause reactions such as rashes, redness, hives, etc. therefore, it is recommended to perform a small patch test before using onion juice as a hair treatment. For best results, try to follow these remedies as often as you can and be patient about the results. Being natural remedies, these might take several weeks to see results. Choose a mild or herbal shampoo and conditioner as per your hair type and avoid the use of chemical-based hair products. Treat your scalp with hot oil therapy 2 to 3 times a week. Avoid using blow driers, curlers, straightening iron and other heating devices. Practice yoga, meditation, breathing exercises, etc to manage stress and get at least 8 hours of restful sleep every night. Follow a healthy and balanced diet that includes protein, healthy fats, whole grains, fruits and vegetables. 1. Which kind of onions are good for hair loss? There are different types of onions available in the market that include white onion, red onion, shallots, sweet onion and yellow onion. These onions vary in color, texture and slightly in flavor but they can be substituted with one another. You can choose anyone as per the availability because all of them are good for treating hair loss. 2. How Much Time Does Onion Juice Take to Treat Hair Loss? As per the research mentioned above, onion juice took about 4 – 6 weeks for regrowth of hair and reduce hair fall. But this can vary depending on your scalp condition, food habits, lifestyle, and hair texture. So, we recommend trying the method regularly without interruption for maximum benefits. 3. Does Onion juice Increase Hair Loss? If it is causing, should I stop using it? Onion juice application doesn’t cause more hair loss. If you are experiencing more hair loss with onion treatment then it might be either due too much concentrate of onion juice or too much massaging. Reduce the concentration of onion juice and try the process again. While applying or massage, make sure you to do it very gently. Follow the process for at least 2 – 3 weeks before judging its effects. If it still causing hair loss then discontinue the treatments. 4. How to Avoid Onion Smell? You can add coconut oil, lemon juice or any other ingredient to reduce the onion smell. Or else try a different ingredient for hair loss. 5. Can I refrigerate onion juice and use it later? We strongly recommend trying freshly extracted onion juice for treating hair loss because some nutrients may get evaporated or damaged after few hours. 6. What if Onion juice application is causing irritation or burning sensation? People with sensitive skin can experience irritation or burning sensation with onion juice application. If you are one of them then dilute onion juice with water or extract juice for boiled onions. This way the discomforts caused by onion juice can be avoided. 7. Can I use ready made or store-brought onion juice? Yes, you can purchase onion juice from any grocery store and use it. However the effectiveness and potency can be very low when compared to fresh extract. So, experts always recommend using a fresh ones every time. 8. How often to use onion juice for hair growth? You can use onion treatments for hair growth 2 to 4 times in a week. If your hair is too dry and brittle, then it is better to restrict the treatment 2 times in a week. 9. How long to use onion juice for hair regrowth? You have to follow the treatment at least 3 – 4 months to observe the improvement in hair growth. After you achieve the results, you have to follow the treatment once in a while to maintain the process. 10. Can we use onion juice daily on hair? Nope. It is better to avoid onion juice application daily because it can lead to excessively dry scalp and frizzy hair. Repeat the treatment only 2 – 4 times in a week. Was the information provided in this article helpful? Do you any other home remedies that work great in treating hair loss? Share your experience, queries and concerns in the comment section below. Applying onion juice might not be the reason behind the dandruff. The flaky skin may be the accumulated dead skin cells. Continue the process for a week to see better results. If you are observing the same then try a different method mentioned in this article – http://homeremediesforlife.com/hair-loss/. can i use onion and coconut oil “C.B.C.” brand and how long to massage on my head? Yes, you can. You have to massage the application for 3 – 5 minutes. I used onion juice n castor oil n vitamin E capsules on my hair and when I washed my hairs my hair fall was excess..plz suggest me what to do and which mild shampoo shall I use?? We recommend trying each ingredient individually to know exactly which one is causing the hair fall. Or else you can try any other method mentioned in this article- http://homeremediesforlife.com/hair-loss/. Apart from that we recommend eating nutritious food, drink plenty of water, reduce stress levels and perform a hot oil massage at least twice a week. Can I mix and use onion juice with peppermint oil and rosemary oil for hair regrowth aginest minoxidil 5%? Yes, you can try. And don’t forget to share your experience. Try 5, 7, or 9th method mentioned above in the article. Apart from that consume nutrition rich diet, drink plenty of water and make sure to follow the process regularly. No, leave the application only for an hour and rinse off with water thoroughly. Apart from trying out the topical applications, it is important to eat nutritional food, reduce stress levels, wash hair 2 – 3 times in a week, avoid hair styling products and drink plenty of water to achieve the results. When I apply onion juice on my hard there is huge hair loss at the time of applying please suggest also Can I use onion juice with armond oil and lemon or there is any side effects for applying these three ingredients. Usually onion, lemon or almond oil doesn’t cause hair loss or have any side effects. So, try it more time and make sure to be gentle while applying it on the hair. If the hair loss is still happening then stop this method and try another method. Yes, you can use the combination of onion juice and vitamin E oil. You can leave it overnight and rinse the hair in the morning. Can we use mixture of onion and garlic along with coconut or almond oil for hair growth? i applied onuion juice on my scalp for 7-8 months thrice a week and trust me results were like awesome.i was very much happy wit it.but now again after 7-8 months i see execessive hairfall again.dont know what went wrong suddenly. Apart from trying out onion methods, it is equally important to eat nutritional diet, reduce stress levels and reduce usage of chemicals based shampoos and hair styling products. Can i mix Onion juice, Castor oil and coconut oil all three? Can I apply coconut oil mixed with vitamin e capsule and leave overnight? Then in morning apply onion juice 20 mins before rinsing my hair? Can I apply onion juice and coconut oil on my scalp and leave it overnight?? Can we use the mixture of coconut oil, garlic and onion juice? And if yes then for how long we have to keep the mixture? I have a massive hairfall after 6 months of my rebounding. I had a very thick hair but now it’s not like that.does onion juice with coconut oil work successfully? Can I use onion juice with almond oil?..will it be effective. Does it have any side effects?. ..
Can i mix onion and coconut oil and store it for daily use?? I mixed onion juice with coconut oil, heat it before applying. Is it okay to use it rhis way? Can I Use onion juice with vitamin E oil for hair growth. keep it overnight and wash net morning..
what if we chop the onion and make tiny pieces of its and then boil in water.. then can we use the water for massage? Can we make the coconut oil and onion juice mixture for a week? Since it is winter the mixture is frozen….can we heat the mixture before applying? Is necessary to use shampoo after use onion juise overnight? or can i only rinseoff with water? Is it ok to only rinse out onion juice with water thoroughly instead of using shampoo . I do not like to shampoo so often. Thank you..
Can i leave my hair allnight after using onion juice and almond oil mixture ? 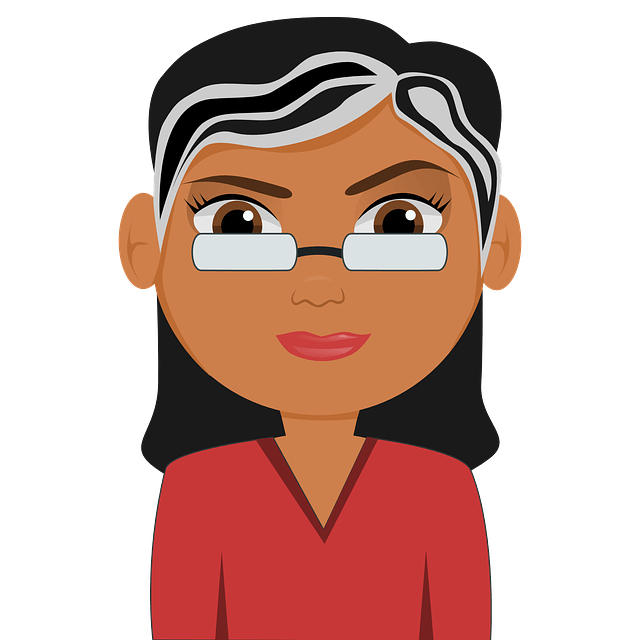 I am using minoxidil 2 too…. would it be cause of any problem ?